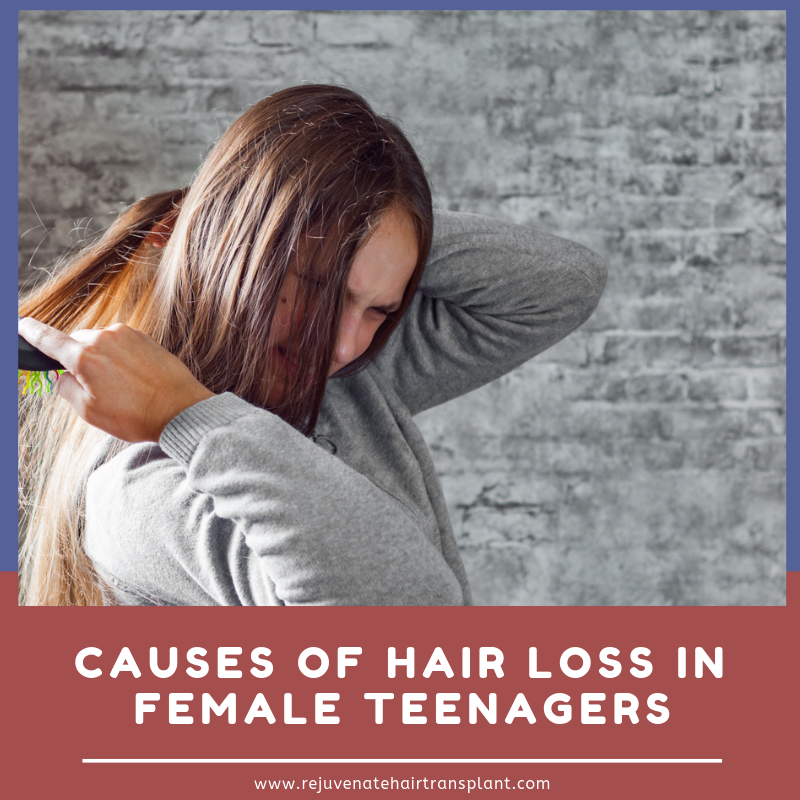 Hair loss at teenager girls is generally common as it includes a lot of factors. According to experts, a normal person loses around 50 to 100 hairs in a day and it is pretty normal. However, Hair loss at any age makes the person fall into embarrassment and decreased the self-esteem. But especially for teenage girls, hair loss is traumatic. As they are quite conscious of their appearance. Hair loss in teens often shows a sign of issues like hormonal imbalance or food deficiency. Usually, the hair loss at this age is temporary; if the problem is not corrected then it may be the alarm of some health problems. This problem should not be ignored by parents. They should be concerned and don’t hesitate to seek the help of a best hair related doctor who can ensure this problem can be cured. During the adolescence, the body goes through many hormonal changes. These hormones are fluctuating the emotion and eating habits as it is a part of the development of the body. Due to hormonal imbalance, hair loss happens. The hormone which causes hair loss is called dihydrotestosterone or DHT. In men usually have high levels of DHT but woman and girls can have low levels of testosterone as well. When the DHT shrinks hair follicles causing them to fall out. When the hormone levels normally balance themselves in this case hair loss will be temporary and in cases, it can more severe. Teens usually prefer to eat junk food and don’t eat a balanced diet. This eating habit doesn’t provide good nutrients to their body which affect their health of hair. As proper nutrients are extremely important for proper development of body, skipping meal means they are not getting enough vitamins, proteins which support to make their hair healthy. In children mainly nutritional deficiency causes their hair brittle, rough and thin hair. Adolescents put an effort to manage their lifestyle by keeping up with trends. While maintaining trends they use straighteners, blow dryers, and curling rods. If the hair styling product use daily then they have to be dealing with dry, brittle hair which makes their hair thin and causes hair loss. In the market, there are various products which can damage the hair so before purchasing any product parents must check the label of the product they provide to their children. The bad product vigorous put tension on the hair which causes them to break out. This doesn’t mean that teens should not style their hair, they only don’t use frequently and use good product. Now a day many teenagers are taking different medications without taking consulting with a doctor to treat depression, acne, and many other problems. There are certain chemicals which shows side effect and be the reason for hair loss. So the best way to deal with any problem, the parents must consult with doctor related to any health problem. As doctor only can identify the causes and provide better treatment. This condition happens in children when they make their ponytails too tight or use very tight hair braids. This increases the tension on the hair follicle and may cause hair loss. Sometimes it happens when to use sports helmets or over-ear headphone. This is a temporary hair loss and this will back again. Whenever you found the hair loss related problem in your child and don’t know the cause behind it, must speak with your physician. They can tell you the underlying cause and provide treatment according to it. There are many clinics where the doctor is fully certified and well experienced in treating the hair loss problem. Children nowadays due to education filled with stress. So parents need to make sure that they are engaged in playing games, spend time with friends and take a good amount of sleep. For hair growth, teens need to eat a well-balanced food which should be rich in protein, vitamins, and minerals. Try to make them a habit of eating milk daily, as it is very nutritious. Foods will definitely help to reduce the hair fall and make stronger hair.